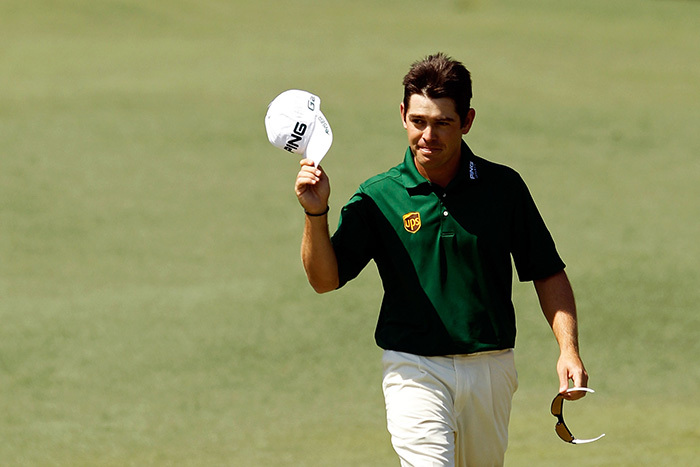 Compleat Golfer’s playing editor is South Africa’s Louis Oosthuizen. Apart from providing regular instruction, his monthly column takes you into his world. It is no coincidence that when I got so close to winning The Masters in 2012 I’d gone into the tournament in good form. I’d won the Africa Open that January and was feeling good about my game heading up Augusta’s Magnolia Lane. You’ll recall that in 2012 I reached the playoff with Bubba Watson after going round Augusta in 10 under, with rounds of 68, 72, 69 and 69 – that last round included a rare albatross-two at the 2nd, but I also dropped a shot at holes 4 and 10, before making birdies at 13 and 15. I’m hoping that by winning the Perth International fairly recently it will provide a similar boost to my form that the Africa Open win did four years ago. Mentally, I know I can play Augusta. It’s a golf course I like, and it suits my game. Hopefully I have found some good momentum to be ready for anything and everything the course throws at me. Success at The Masters is all down to how well you hit your irons and how you putt that week. The last five weeks of 2015 weren’t good for me when it came to my putter, but hopefully I’ve managed to sort that out. I’ve been working hard to be able to put in a strong showing and to be ready for when the event comes around. Make no mistake, The Masters is a different event and the whole week has a different feel to it. We put in a few more practice rounds than is normally the case – mostly to feel the greens and get to know the right spots again. But everyone in the field knows how to play Augusta and you just have to take it as it comes once the tournament starts and you see how the course is presenting itself. The third round (Saturday) is always the toughest because they firm up the greens – a lot – and the pin placements are tucked away in tough positions. You just have to try to be in play at every hole and not go off line. You need to know where your misses should be on the greens, otherwise you’ll find yourself in a constant battle just to save pars. It’s easy to drop shots around Augusta, but I’ll be trying to make all of you proud!